Paicines Ranch machinery experts visit NRI Project field in Five Points! 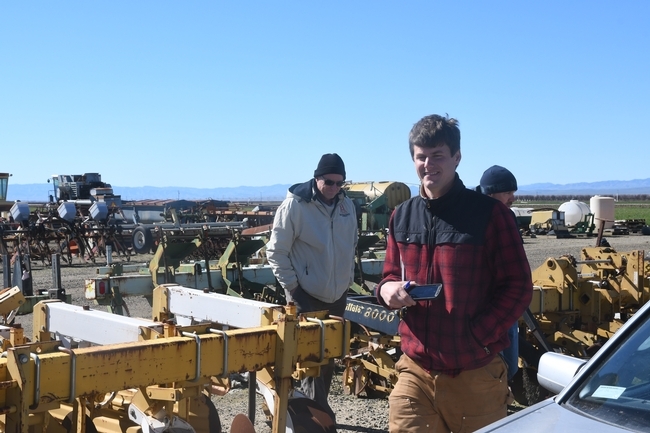 Machinery experts, Ky Cooper and Marc Luff of Paicines Ranch, visited CASI's NRI Project field in Five Points and examined a number of Workgroup pieces of equipment as part of the Friday open house soil tour series that has been underway at the site since February 15th. Cooper and Luff work together at Paicines with farm manager, Kelly Mulville, on new reduced disturbance regenerative agriculture approaches. 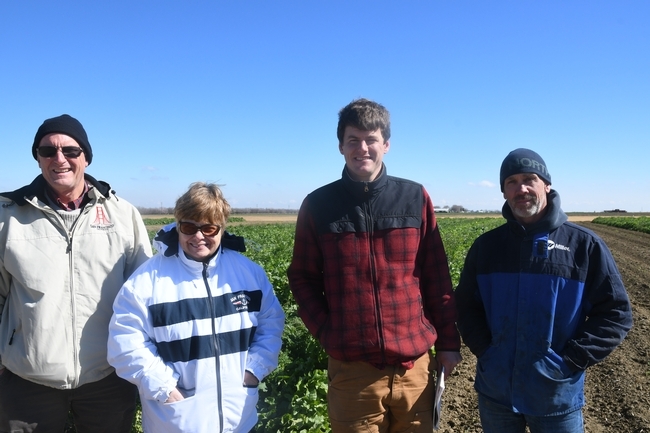 The three of them recently also took part in the CIG Project planning meeting at Paicines that preceded the cover crop workshop that many CIG participants attended. They were specifically keen to learn what CASI farmers and researchers have done in the past with reduced disturbance crop production approaches for a range of crops. With CASI's Mitchell, they inspected an array of reduced disturbance implements including no-till drills and planters, two cover crop rollers, a number of strip-till implements, no-till transplanters and high residue cultivators. Then, they also examined the NRI Project field and the differences in soils that now exist in the four systems that have been evaluated in this study since 1999. CASI looks forward to continued dialogue and interactions with Luff, Cooper and Mulville about reduced disturbance production techniques and we thank them for their visits to our CASI site in Five Points!